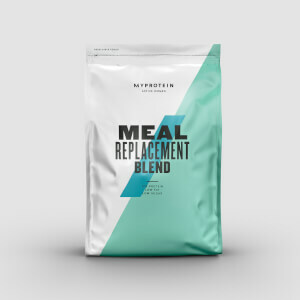 This is undoubtedly the best value meal replacement formula, especially if you buy it in bulk, and it tastes great too! For me, the chocolate flavour is the best but vanilla is very drinkable too. I've been drinking 2 of these a day without getting tired of the taste. That was until and that brings me on to the problem. There is one major drawback for me, and it is significant, hence the 3 stars. The use of brown rice syrup. I can see why, it is after all a very economical way of sweetening without the same stigma attached to it that other sugars have. It also helps boost the calorific content of the formula. Why is this an issue? Besides the fact that it has an extremely high glycemic index, it is the presence of arsenic that is of real concern. Anyone who regularly consumes anything containing brown rice syrup is in effect poisoning themselves. It's still not clear how dangerous this is but it is serious enough to worry the European Food Safety Body. If Myprotein can adapt their formula and replace brown rice syrup with another safer sweetener then I will happily return to using it. 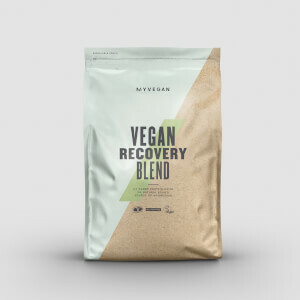 This is the best plant based protein shake I have found to date. great tasting and mix-ability! The vanilla taste never gets old too. water is the best with this. You can use almond or soya milk but it gets turns quite thick. Great Product, 5KG Bags need to be more available. Great product, tastes fantastic and is easy to mix. Price is also an appealing amount especially with the 5KG Bags, however they never seem to be available and when they are available they are gone within a day, this needs to be worked on. Don't Believe The Huel Shills! Notice the Huel confederate's remarks? They're fake. Shills planted by Huel. I doubt the Huel fan boys that are slamming this product ever even purchased this product. They've obviously been deployed here for a predictable Huel sanctioned smear campaign. Of course this product isn't Huel! Just like Huel isn't Soylent. Soylent is a lower priced alternative to real food. In the same way, Huel is a lower priced alternative to Soylent. Analogously, MP's Whole Fuel is a lower priced alternative to Huel. In each case of "The Real Thing" V "The Alternative", there are naturally differences and tradeoffs. I like Whole Fuel. It exceeded my expectations.Vanilla is my favourite. It would be good to have an unsweetened/unflavoured option though. If you're not into sweet stuff, mix this with either MP's Vegan Blend or with your favourite oat flour. The finer ground the out flour, the better). Mixing this in the right proportions with something flavourless based on your own tastes and nutrition needs, will lessen the sweetness to whatever level you prefer. Great product. Be warned though! Great product. I break my fast with this stuff and it's great. Be warned though!!! If you're counting calories 3 scoops does not equal 100g!! 100g is roughly 2.2 level scoops. Theres a massive kcal difference there for anyone that is serious about their macros. If the reviews on the Huel forum are to be believe this product is really spreading fear through their Camp. Its cheaper better tasting and all in all a much better product from a much more reliable brand. No wonder Huel have locked their forums to comment on Whole fuel, and their CEO has pinned a hastily written panic post to the home page. Keep it up Myprotein, which market will you conquer next? The tears of your fallen competitors! On what planet are people mixing 100g with 350ml water :/ I mix 100g with 700ml of water and it’s like a thick milk shake. Brilliant for when the wife is working lates and I’m too lazy to cook a meal. Vanilla and Raspberry Vanilla both taste like weak Banana milkshake in my opinion. Not overly keen on the chocolate. Does the job tho as a meal replacement. I mix mine in the 1lt MyProtein shaker which doesn’t mix great so need to keep shaking every few mins. 4/5 overall though. Lazy people who can’t be bothered to cook - like me. This is simply the best supplement I have ever used. I am not being paid to say this I can assure you but Whole Fuel has changed my life. I use it three times a day along with other food and I have now lost almost 7 stone in weight (just under 100 lbs). The taste of the chocolate is amazing and its the best one, Vanilla is nice too not tried the raspberry. My suggestion would be to use a blender for this and drink right away, I take one to work with me and I can become quite thick in the fridge, when shaken by hand there can be lumps but in a blender its the perfect meal replacement fortified fuel. 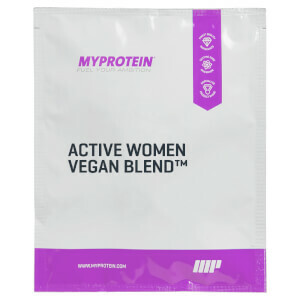 As a vegan, this product was an absolute godsend in helping me to lose weight and even if you aren't a vegan if you want a dairy-free supplement this is the best there is. Put simply on offer for 50p a meal compared to the price of Huel this is a steal and I will be buying Whole Fuel forever. I know this review sounds over the top and must be a paid for advert but this is honestly how much the product has changed my diet and allowed me to get more in shape every day.